Autonomous Unmanned Aerial Vehicles (UAVs) become an important field of research in which multiple applications can be designed, such as surveillance, deliveries, and others. Thus, studies aiming to improve the performance of these vehicles are being proposed: from new sensing solutions to more robust control techniques. Additionally, the autonomous UAV has challenges in flight stages as the landing. This procedure needs to be performed safely with a reduced error margin in static and dynamic targets. To solve this imperative issue, many applications with computer vision and control theory have been developed. Therefore, this paper presents an alternative method to train a multilayer perceptron neural network based on fuzzy Mamdani logic to control the landing of a UAV on an artificial marker. 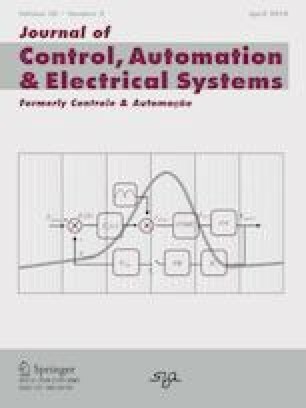 The advantage of this method is the reduction in computational complexity while maintaining the characteristics and intelligence of the fuzzy logic controller. Results are presented with simulation and real tests for static and dynamic landing spots. For the real experiments, a quadcopter with an onboard computer and ROS is used. The authors would like to thank CAPES, CNPq, FAPEMIG, UFJF, PPEE, INERGE, ANEEL and CTG Brasil for their support. Amazon.com. Amazon prime air. (2015). http://www.amazon.com/b?node=8037720011. Guo, X., Denman, S., Fookes, C., Mejias, L., & Sridharan, S. (Nov 2014) Automatic UAV forced landing site detection using machine learning. In 2014 International conference on digital lmage computing: Techniques and applications (DlCTA) (pp. 1–7). https://doi.org/10.1109/DICTA.2014.7008097. HardKernel. Odroid. (2015). http://www.hardkernel.com/. Accessed 1 Aug 2018. Meier, L., Honegger, D., & Pollefeys, M. (2015). Px4: A node-based multithreaded open source robotics framework for deeply embedded platforms. In 2015 IEEE international conference on robotics and automation (ICRA) (pp. 6235–6240). https://doi.org/10.1109/ICRA.2015.7140074. QGroundControl. Mavlink. (2016). http://qgroundcontrol.org/mavlink/start. Accessed 1 Aug 2018. ROS. Robot operating system. (2015). www.ros.org/. Accessed 1 Aug 2018.